DigtialGlobe’s WorldView-4 is expected to be launched next month, on September 15, 2016. According to Wikipedia, WorldView-4 started life as GeoEye-2 back in 2007. However, DigitalGlobe bought GeoEye in early 2013. At the time, DigitalGlobe had a very similar satellite, WorldView-3, being prepared for launch and it was capable of seeing more wavelengths, most notably in the shortwave infrared. So, WorldView-3 was launched in August 2015 and GeoEye-2 was put on hold. WorldView-4 isn’t so much a successor to WorldView-3 but more of a companion satellite and is being launched to increase capacity in line with greater demand for satellite imagery. A comparison of the advertised stats for the two satellites shows that WorldView-4 covers less spectrum, but is otherwise almost identical in capability to WorldView-3. Read more about the development of WorldView-4 and its transport to the launch site here. One interesting fact pointed out is that one of the technical difficulties with imaging satellites, which typically travel at about 7.5 m per second, is to capture imagery without blurring. It helps, of course, to be over 600 km from the subject, but even then, as we saw with ‘rainbow planes’, the movement of the satellite can have a significant effect. Telescopes used for astronomy can have long shutter times, but imaging satellites do not have that luxury. WorldView-4 has a 1.1 m mirror and weighs nearly two and a half tons. Compare that with Plant Lab’s dove satellites, which are 10x10x30 cm and weigh 4kg. The key difference is resolution, with WorldView-4 capable of 30 cm per pixel and the doves around 3 to 5 m per pixel. Planet Lab’s satellites are based on the CubeSat concept, which aims to standardise small satellites for cost savings. Incidentally, the WorldView-4 launch will include seven CubeSats (not for imaging) as part of a ride share agreement with DigitalGlobe. Well…what does it help? No matter what sort of super satellite they have, if they are lazy in updates related to actual developments. The WorldView-4 satellite belongs to DigitalGlobe not Google. 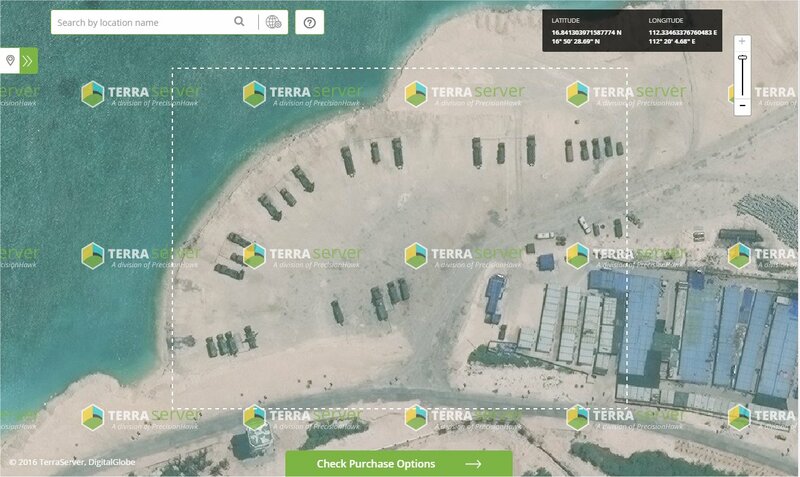 DigitalGlobe is interested in selling imagery (via Terraserver for example) and not giving it all away via Google. More satellites might mean more Google Earth updates and it might not. It will mean that if you want to purchase imagery it will be easier to get exactly the location you want when you want it (weather and other factors permitting). Thanks Timothy – yeah that’s true. For example I bought a certain image from Terraserver. Google made an update for the basis of the Russian deep diving special submarines at Olenya Guba 69.216535° 33.380686°. The date they choose is 5/21/16. Base is empty. If they would have a verifying look at their images (and being in the know) they would recognized that they missed a golden opportunity. Terraserver choose an image from 6/24/16. Bingo! The first time that everyone can see the mystic Losharik submarine next to its smaller sister, a Paltus class boat. The Losharik can dive down to 6000m and it spent 3 weeks at 3000m in the north polar region in 2012. It never has been seen outside its floating protective dock at Olenya Guba base! Have a look.